After 180 years in the state, 2016 will mark the end of an era in Hawaii. The last remaining plantation is phasing out it's sugar operations due to rising production costs, foreign competition and the use of corn sweeteners in soft drinks. Hawaii's sugar industry has limped along for years on state loans, fluctuating revenues and tax breaks. Hawaiian Commercial & Sugar Company (HC&S) cultivated sugarcane on 36,000 acres in Central Maui, producing raw and specialty sugars and molasses, using state-of-the-art agronomic practices which made their fields among the highest yielding in the world. The reason the Hawaiian islands population is so diverse is primarily because of the sugar industry. The Reciprocity Treaty of 1876 allowed Hawaiian sugar to enter the United States completely free of tariff duties. This economic incentive caused a growth in the number of sugar plantations and a need for more labor including Japanese, Chinese, Filipino, Korean, Portuguese, African Americans, and German immigrants. 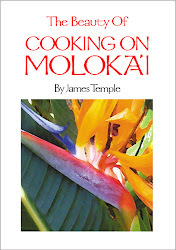 Sugar production was a major source of employment for native Hawaiians as well. In 1873, more than half of the native male population was engaged in cultivating sugar. Women were employed stripping, grinding, and boiling cane and were paid half the wages of male natives. In 1881, 124 German immigrants arrived on the Lihu'e Plantation, on the west side of Kauai. They rose quickly from the ranks of sugar workers, becoming machinists, engineers and managers. These Germans were known for their discipline, leadership, and technical skills. 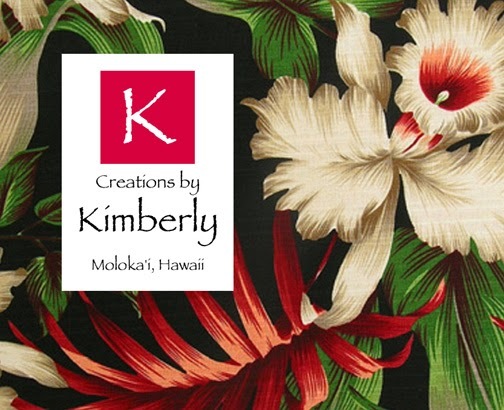 They were builders and tool and dye makers who helped to construct sugar mills in Hawaii. 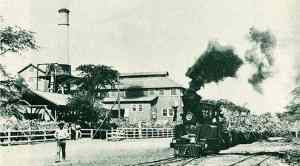 Several Germans were visionary sugar growers who brought the industry to a prosperous maturity. 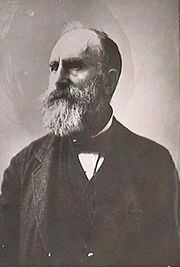 One of those Germans was Rudolph Wilhelm Meyer, who operated a small sugar mill from 1876-1889, on the island of Moloka'i. 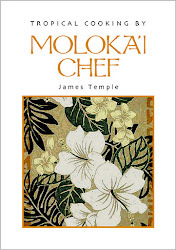 He was the first on Moloka'i to grow and mill sugar and coffee commercially and he exported these to Honolulu and California. While on Moloka'i Meyer met a young Hawaiian High Chieftess, Kalama Dorcas Waha, who became his wife on March 20, 1851; she was 18 years old. As a foreigner marrying a citizen of the kingdom of Hawaii, Meyer was required to post a $1000 bond before he could obtain permission to marry. He soon became a citizen of the kingdom on July 21, 1851. Eventually, King Kamehameha V hired the Meyer family to manage a vast ranch on the western end of the island called Moloka'i Ranch. These Germans formed a strong community in Hawaii, building their own churches, and schools. The German language was spoken and taught for many years. German was one of just two foreign languages offered when the University of Hawai'i was established in 1908. 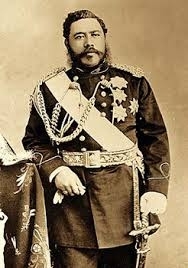 The German presence and influence was so strong in the 19th-century that King Kalakaua often appeared in the uniform of a German cavalry general. Princess Ka'iulani was sent to Germany to perfect her German, and Queen Lili'uokalani took German lessons in I'olani Palace. Many of the German people married Hawaiians and it is not uncommon in the Islands to meet Polynesian-looking people with German names like Meyer, Brandt, Smith and Hanneman. World War I proved catastrophic for the Germans in Hawai'i who with the entry of the United States into the war, had become enemy aliens overnight. Many left for the mainland, others stayed but often anglicized their names. German Americans established the first kindergartens in the United States, introduced the Christmas tree tradition, and most likely originated popular American foods such as hot dogs and hamburgers. The first meat grinder was invented in the early 19th century by the German engineer Karl Drais. The machine made it possible for minced meat to be sold at market in large quantities at reasonable prices. It is very likely that this meat grinder contributed to the birth of hotdogs and hamburgers in this country. 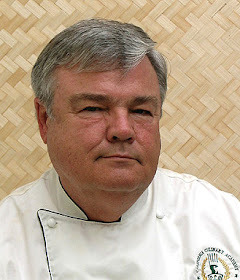 Hawaii has one of the richest culinary heritages in the United States. You would think that the German people would have left their mark on Hawaii's cuisine, however I haven't found much to prove German's culinary contribution to Hawaii's mixed plate... except for possibly pretzels. German immigrants certainly brought pretzels with them when they began settling in Hawaii. The Germans have been eating pretzels since the Middle Ages. The first pretzels were baked as a soft, squishy bread, like the soft pretzels of today. Some say they were originally called "bracellae," the Latin term for "little arms," from which Germans later derived the word "Bretzel." Hawaii is very fond of pretzels, with pretzel shops all over the state. Here on the Hawaiian island of Moloka'i, soft homemade pretzels are served at Coffees of Hawaii, with a lilikoi (passion fruit) glaze, drizzled over the top. Here's a good recipe for Soft Pretzels, which are very easy to make, and delicious. This is one of the simplest breakfast dishes to prepare and very impressive to serve. A German Pancake is a cross between a soufflé and an omelet - it is a light, airy pancake with sides. The sides of the pancake rise high above the edges of the pan, creating a light, puffy crust with a tender, custard-like middle. It makes a nice change from regular griddle cakes for breakfast. I like to serve it with powdered sugar, fresh Hawaiian mango, or mango jam and honey. Preheat oven to 425˚F and arrange a rack in the middle. In a medium bowl, lightly beat flour, milk, eggs, nutmeg, and salt until just combined. Batter should be slightly lumpy, be careful not to over-mix to keep the pancake light and fluffy. Melt butter in a preheated 10-inch cast-iron skillet over medium-high heat. Brush the melted butter around the skillet to coat the bottom and sides. Add all of the flour mixture and transfer to oven. Bake 15 to 20 minutes, or until pancake is puffy and deep golden brown. Remove the pancake from the oven and sprinkle with lemon juice. 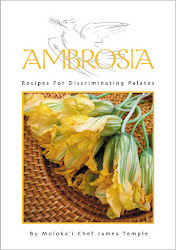 Slice and serve immediately with powdered sugar, sliced fresh ripe mango, when in season, or mango jam and honey. Makes 4 servings. Note: If you can't get fresh mango, use marinated berries or glazed apples and pears, or whatever is fresh and sweet. If you like hot mustard as much as I do, then you will like a hot German mustard called Düsseldorf-style: Brown in color, thick and sturdy in texture, and very hot and intense. 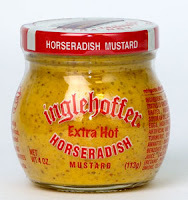 The ideal mustard for German/Eastern European sausages, bratwurst, and the like. I also use it to make a lively mustard butter to spread on grilled steak, pork chops, or fish by blending 2 tablespoons of Düsseldorf-style mustard with 1/2 pound of butter. Or mix the mustard and butter with a bit of apricot jam for a great condiment for cold cuts or as a coating for baked ham. Or combine 1/4 cup of this mustard/apricot mixture with 1/2 cup brown sugar and a bit of orange juice to make a paste for baked ham or pork roast. To purchase Inglehoffer Extra Hot Horseradish Mustard, click here. In a medium sauté pan, add 1 teaspoon vegetable oil and cook bacon over medium heat until soft. Add shallots and cook until transparent. Remove pan from heat; stir in vinegar. Add parsley, mustard powder, chicken bouillon, and sea salt and freshly ground whole black peppercorns to taste. Boil potatoes until done but firm; drain. Add vinegar mixture to warm potatoes in a large bowl. Toss well and allow to rest for 5 minutes. Add 1/3 cup vegetable oil and mix well again. Adjust seasoning; serve at room temperature. Makes 8 servings. I love this recipe. Roulade of Beef is basically thinly sliced beef that is coated on one side with mustard, then a slice of bacon and dill pickle are placed over the mustard. The beef is wrapped around the pickle, bacon and mustard and the whole thing is seared, then slowly braised in beef stock, making a delicious pan gravy. It's easy to make and is wonderful served with mashed potatoes. Caramelize onions in 3 tablespoons oil; set aside to cool. Place pounded slices of beef on cutting board and work with them one at a time. Heat large, heavy, stainless-steel skillet over medium heat for 1 minute; add 1/4 cup oil. Increase heat to high; add some of beef bundles without covering entire surface of pan. Sear bundles until golden on each side; remove from pan to plate. Repeat until all bundles are seared. Take 3 tablespoons out of the 3 cups beef stock; refrigerate for later. Reduce heat to low in skillet; add remaining beef stock. Return all beef bundles to the skillet; add 1 teaspoon parsley and cover. Simmer for 45 minutes. Remove bundles to serving platter; remove string. Stir cornstarch and reserved 3 tablespoons beef stock in cup; stir into skillet to thicken pan juices. Bring to low boil; cook, stirring constantly until thick and glossy, about 4 minutes. Season to taste with sea salt and pepper. Ladle gravy over rouladen and garnish with additional chopped parsley. Serve with mashed potatoes. Makes 6-8 servings. Braised red cabbage is really wonderful served with sausages and potatoes. Serve immediately or keep warm over low heat. Makes 8 servings. Preheat oven to 350˚F. Generously butter a 10-cup Bundt pan, dust with flour, and shake out excess. Whisk together flour, baking soda, cinnamon, cloves and salt in a medium bowl and set aside. Whisk together the dark German beer, molasses and ginger in a medium bowl and set aside. Combine butter, sugar and egg in a large bowl and beat at medium speed with a mixer for 2 minutes, or until mixture is light and fluffy. In 3 additions, alternately beat in flour mixture and beer mixture at low speed until batter is smooth. Stir in chocolate and crystallized ginger. Spoon batter into prepared pan, smoothing top of batter. Bake 30 to 35 minutes or until a wooden toothpick inserted in center of cake comes out clean. Cool in pan on a wire rack 10 minutes. Remove cake from pan and cool completely on a wire rack. Dust cake with confectioners’ sugar, if desired. Makes 12 servings.